I hate the end of year. This is the moment you need to look back and sometime you discover good or bad results. We are ending the year with 30.000 visitors in December. It was a very busy year with very wet moments under the rain but also great time with friends, marvelous readings and great hopes for 2018. Many thanks to all our readers, the friends sharing their marvellous contents and sending us links. Best of my pictures in 2017, a totally subjective choice. Thank you to the friends meet during these events, to the organizers, the pilots, the ground crews, the volunteers. Without them, nothing is possible. Waiting to meet you again in 2018 looking at the sky. Received a few days ago with interesting articles including one about the volunteers and the first works for the C-119 Project. You have still a few hours this year to support the C119 project (and use your tax for a good cause) in 2017. Let's show our pround heritage and share it with the public. 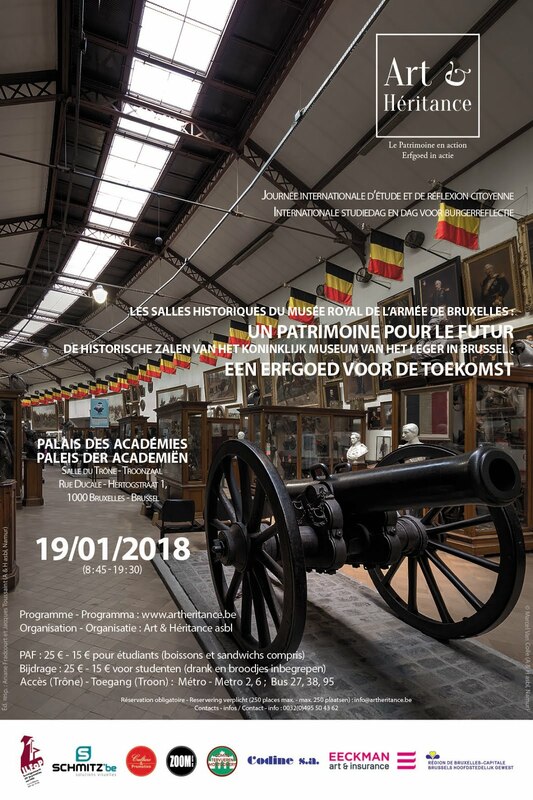 Je vous transferts un message pour info et pour ceux que l'avenir de nos musées intéressent. Je vous serais reconnaissant de bien vouloir faire suivre à toutes vos connaissances intéressées par le sujet, merci d'avance. (Merci aussi d'effacer mes coordonnées). Le gouvernement débloque 258 millions d'euros pour ces tankers du ciel. Brussels Airport franchit la barre record des 24 millions de passagers : "On suit attentivement ce qui se passe chez Ryanair"
One of my secret dreams is to have a Piper L4 and a Stinson L5 in Belgium. I was dreaming, they dit it. Our foundation and dedicated squadron will initially consist of two liaison warbirds. Our first addition is a 1944 USAAF WW2 Piper Cub L-4J Grasshopper. Our second addition is a 1942 USAAF Stinson L-5A Sentinel. Both aircraft were used as Artillery Spotter / Liaison aircraft during World War 2. It is our goal to present these aircraft to the general public in order to highlight the importance of these rather unpopular aircraft that were actually on top and in the middle of the action at the front. Brussels Airport today hit the 24 million passenger mark since 1 January 2017. Never before have so many people flown to and from Brussels Airport within a single year. The 24-millionth passenger received a warm welcome this morning from Brussels Airport CEO Arnaud Feist. Brussels Airport is in a festive mood: just before Christmas the airport has welcomed its 24-millionth passenger in 2017, an all-time record for the airport. . With 24 million passengers before the year's end, Brussels Airport is doing even better than in the previous record year 2015 when almost 23.5 million passengers travelled through Brussels Airport. To celebrate the new record, Brussels Airport Company's CEO Arnaud Feist treated today's passengers to delicious chocolates. This record is also the perfect occasion to thank the 20,000 airport staff whose daily commitment is paramount in achieving this record and ranking Brussels Airport among Europe's top airports. Over the Christmas period at Brussels Airport, special attention will be paid to families travelling for the holidays. In order to make their departure during the Christmas holidays as smooth as possible, dedicated Family lanes will be opened at security for families with children. The airport robot BRUce Pepper is also ready to help out over the Christmas period by guiding and assisting passengers. The little robot is in full Christmas mode and after a selfie, he will wish you Happy Holidays. Brussels Airport is one of the largest airports in Europe, handling 21.8 million passengers and 495,000 tonnes of freight annually. 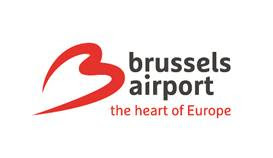 Brussels Airport links the European capital with 238 destinations worldwide that are served by 78 different airlines. (figures 2016). Ferhat Benkhedda a ajouté une photo dans Brussels LVG CVI restoration. Rate One : GAGNEZ un vol ! Fan d’aviation ? Vidéo : Planes And Aces Of World War I"